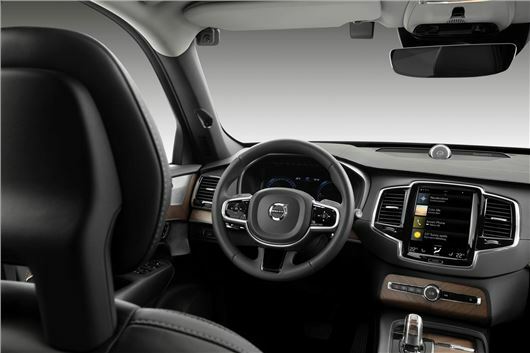 Volvo's introducing interior cameras to its cars as part of its mission to eliminate fatal crashes involving its vehicles by 2020. The firm has already announced plans to limit all its cars to 112mph next year - but now it wants to tackle the issues of drunk and distracted drivers. It will do this by installing a driver-monitoring system using in-car sensors and cameras. If it detects problem behaviour from the driver - such as a complete lack of steering input for extended periods of time or excessively slow reaction times - it'll issue warning signals. If the driver doesn't respond to these, the car will be able to alert the Volvo On Call assistance service and, if required, slow down and safely park the car. Introduction of the cameras on all Volvo models will start with the next generation of Volvo's SPA2 platform from the early 2020s. Details of the exact amount of cameras and their positioning will follow. The company says it wants to start a conversation about whether car makers have the right - or even the obligation - to install technology in cars that changes their drivers’ behaviour. Both the speed limit and the installation of in-car cameras illustrate how car makers can take active responsibility for improving driver behaviour. Volvo has also announced its Care Key. Similar to Ford's MyKey, the Car Key will be introduced in 2021 and will allow Volvo owners to impose limitations on the car's top speed before lending their car to others. ....and people called the Tachograph a spy in the cab! I think you've struck the nail on the head there. You can legally drive a HGV up to the tachograph time limit then go and drive a car quite legally for as long as you like. As dangerous as this may seem, it's still legal, but should it be? Self destruct mission by Volvo.